Today we’re back with our ‘celeb style steals’, and this time we’e focusing on more of a local celeb. Yes, we’re getting inspo from our local beauties who have made it big in the industry. Some of you may be shocked to find that the stunning actress Rosie Huntington-Whiteley actually comes from Plymouth! We’re going to take a look at her most iconic hairstyles so you can all have a go at re creating them. Let’s have lots of beautiful lookalikes walking around Devon shall we? In at number 1 it’s nice and easy but oh so stunning. Rosie displays the perfect effortless do and here’s how you can too! Start off by getting some texture into the hair with dry shampoo or a texturising spray. Then put your hair up into quite a high ponytail and wrap the hair around to create a messy bun. Pin in place and pull some small wispy pieces out around the face and at the back if you would like. Finish with a light hairspray and there you have it. This look is stunning and so easy to recreate too. 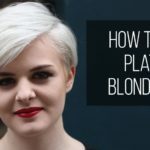 For those with similar length hair, here’s how your hair can look beaut too. When drying your hair dry it in all different directions in order to create movement, body and texture. Once dry use your straightener to create some ‘beachy’ waves. Once you’ve created your waves add a sea salt spray or alternatively a bit of hairspray to further texturise your locks. See? So easy! It’s finally #Friyay!!!!!! ? #TGIF ? This look is extremely ellegant but again so easy! Start with wet/damp hair. Put your hair into a ponytail and then use bobby pins to secure it into a tight bun. And your good to go. How quick and simple but paired with the right makeup it’s guaranteed to wow. This look is so so classy. For those days that you just want to wear your hair down and not make too much effort but still look fab. When blowdrying your hair dry it out as smoothly as you can, using a paddle brush would help! Then (if you need to) straighten your hair and finish with a light serum or shine spray. Lastly we have another look running in with the theme. You guessed it, it’s beautiful and easy to re create! Start by running a light serum through your hair. Then put your hair into a tight ponytail. Finish by grabbing a piece of hair from the ponytail and wrapping it around the base of your ponytail to conceal the hair tie. Go in with a light hairspray and your done!! So there you have it. 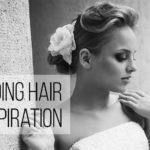 Everything you need to know on how to re create this beauties hairstyles. From Plymouth to LA. Just goes to show guys it doesn’t matter where you come from!